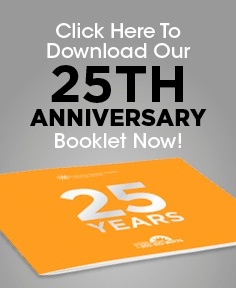 Celebrate the Helpline's 25th Anniversary! SAN DIEGO (November 16, 2017) – Today, the California Smokers’ Helpline, the nation’s first statewide smoking quitline, is marking its silver anniversary by announcing plans to support more Californians quit smoking for good. Over the next few years, the Helpline will add more counselors, expand outreach to healthcare providers, introduce new protocols to better serve those with mental health conditions, and release a new version of its well-received app to help even more people quit smoking in a way that works for them. 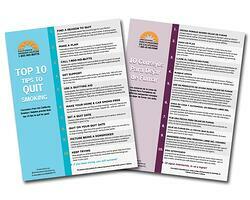 These expansions were developed as part of a multifaceted approach to build the Helpline’s capacity and provide additional options to assist even more Californians quit tobacco. “We planned these expansions so the California Smoker’s Helpline can stay ahead of our clients’ needs, and to ensure we can help more people reach their quit goals in a manner that’s most effective for them,” said Shu-Hong Zhu, PhD, director, California Smokers’ Helpline. The Helpline’s research-based protocol has been proven to double a person’s likelihood of quitting for good. The California Helpline was launched in 1992 as an experiment, but by 2002, every state in the nation had adopted similar telephone quitline services. The Helpline has provided free and confidential telephone counseling services to more than 800,000 Californians, an average of 32,000 clients a year. The typical caller is about 50 years old, but clients have included some as young as 14. Quitting assistance is offered in English, Spanish, Mandarin, Cantonese, Vietnamese and Korean, as well as TDD, all from highly trained and caring counselors. Chat services are also available, as well as a text messaging program. As part of its anniversary, the California Smokers’ Helpline is showing the positive impact of quitting tobacco through the release of a touching video that shares the story of one of its now tobacco-free clients, Antonio. He credits the support of the Helpline with successfully quitting and remaining smoke-free. “I have been smoke-free for five years. The calls from 1-800-NO-BUTTS were a big part of my recovery from smoking.” Antonio’s story can be seen at https://www.nobutts.org/25yearsofquitting. California’s smoking rate is the second lowest in the nation. However, even with that achievement, tobacco use remains the number one cause of preventable death and disease in the state. Approximately 40,000 Californians die each year from tobacco-related illnesses. More information about the California Smokers’ Helpline is available at www.nobutts.org or 1-800-NO-BUTTS. Approximately 57% of Helpline clients are female, and 42% are male. More than half of clients are between the ages of 45 and 64, and more than a quarter are between 25 and 44. *Smoking prevalence is 13.1% for heterosexual California adults. The California Smokers’ Helpline and its training and technical assistance arm, the Center for Tobacco Cessation, are pleased to provide this free Provider Toolkit on Smoking, Nicotine, and the Brain. Tobacco and related products exert their addictive potential through nicotine. 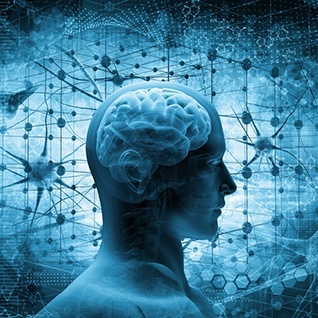 This webinar will review the mechanisms through which these products deliver nicotine and through which neural pathways nicotine exerts its effects on the brain. Brian Hurley, MD, MBA, DFASAM is an addiction psychiatrist and the Medical Director for Substance Use Related Care Integration at the Los Angeles County Health Agency. Brian is currently the Treasurer of the American Society of Addiction Medicine (ASAM) and gives presentations around the world related to addiction medicine. He is board certified in general psychiatry, addiction psychiatry, and addiction medicine. He serves on the American Board of Psychiatry and Neurology’s Addiction Psychiatry examination writing committee. Brian completed the Robert Wood Johnson Foundation Clinical Scholars Program at the University of California, Los Angeles (UCLA), and was previously a UCLA - Veterans Administration National Quality Scholar at the VA Greater Los Angeles Healthcare System. He completed a fellowship program in addiction psychiatry at New York University School of Medicine. 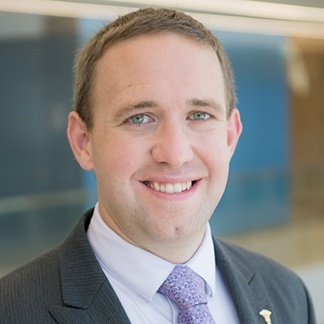 Brian completed residency training at the Massachusetts General Hospital and McLean Hospital, where he was Chief Resident in Addiction Psychiatry. Request for Applications (RFA) CTCP 17-10569, “Regional Initiative to Reduce Tobacco-Related Disparities among African American/Black; Asian/Pacific Islander; Hispanic/Latino; and Lesbian, Gay, Bisexual, Transgender, Queer Populations” was released on Tuesday, September 19, 2017. This RFA intends to fund up to 27 projects throughout California to reduce tobacco-related health disparities and achieve health equity among priority populations through regional approaches directed towards policy and systems change focused on tobacco use prevention and reduction. Download the Funding Alert here or visit the TCFOR website for Instructions on applying. An optional Informational Webinar will be held on Wednesday, September 27, 2017, from 2 p.m. to 4 p.m., PDT. Prospective applicants intending to submit an application are strongly encouraged to participate. The purpose of the Informational Webinar is to provide potential applicants with an opportunity to pose written questions about preparing and submitting the application. Additionally, the California Tobacco Control Program will fund up to four grantees to serve as statewide coordinating centers to foster collaboration and community engagement among the funded regional priority population projects to accelerate the adoption, implementation, and impact of their policy and system change campaigns. A Funding Opportunity Alert for this RFA will be posted soon. In 2013, Governor Jerry Brown signed into law Senate Bill 493, authored by Senator Ed Hernandez, which for the first time ever, acknowledged pharmacists as legitimate healthcare providers and had also expanded the scope of practice for pharmacists to offer more patient care services beyond their most familiar function of drug dispensing. SB 493 was introduced in the Legislature as a response to the State’s physician shortage, especially after California had expanded coverage to millions of people under the Affordable Care Act. One of the critical expanded authorities that came from SB 493 was the ability for all licensed pharmacists in the State to provide and offer nicotine replacement products for smoking cessation. Prior to SB 493, providing nicotine replacement therapy was limited to pharmacists who worked in either an inpatient setting or an integrated system. Pharmacists who provide nicotine replacement therapy are not just selling the nicotine replacement products themselves, but they are also assisting patients with tobacco cessation using patient specific interventions, including referring patients to quitlines, such as the California Smokers’ Helpline, and other resources that are available within the community. Before a pharmacist even offers nicotine replacement therapy, they will evaluate their patients for any specific factors including precautions or contraindications for medication therapy. In addition, extensive counseling is done by the pharmacist with their patient on the appropriate use of smoking cessation medications such as dosing amounts, how to administer the product, and any possible adverse effects. SB 493 opened the doors for retail and community pharmacists to be able to transform their business model by offering more preventative healthcare services, like nicotine replacement therapy. Most importantly, pharmacists have an opportunity to be leaders in the fight against nicotine addiction by decreasing the use of tobacco products and promoting smoking cessation especially since they interface with patients frequently throughout the day. 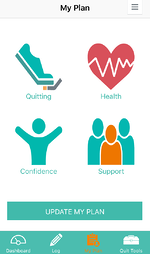 The health benefits for patients who participate in a smoking cessation program are incredible considering the damaging effects of nicotine addiction. Smoking tobacco products increases the chance of lung cancer, chronic obstructive pulmonary disease, coronary heart disease, stroke, and peripheral vascular disease among others. Patients are particularly at an advantage of receiving nicotine replacement therapy from their community pharmacist because the service can be provided more accessibly, rather than having to make an appointment to see their primary care physician which can take several weeks. Patients who want to quit smoking and begin a smoking cessation program with their local pharmacist will see major improvements in their health and will significantly reduce the risk of premature death. Once the bill was signed into law, the California Board of Pharmacy and the Medical Board of California were responsible for developing protocols for pharmacists to follow when providing the authorized services outlined in SB 493 and determining the appropriate training requirements. 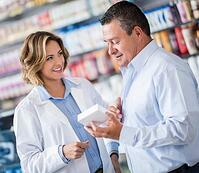 Pharmacists have the authority to furnish nicotine replacement products approved by the FDA. A pharmacist may select any nicotine replacement product (alone or in combination) from the list of therapies specified by the Board of Pharmacy which shall be updated and maintained on the Board’s website. The pharmacist shall notify the patient’s primary care provider of any prescription drugs or devices furnished to the patient for smoking cessation treatment. The pharmacist must document each nicotine replacement product provided and securely store this information in a patient medication record for at least three years. Before initiating any smoking cessation treatment, a pharmacist must complete a two hour continuing education program specific to smoking cessation therapy and nicotine replacement therapy. Pharmacists must complete ongoing continuing education focused on smoking cessation therapy every two years. Pharmacists must ensure that patient confidentiality and privacy are maintained. The California Pharmacists Association (CPhA) offers pharmacists who want to provide nicotine replacement therapy to their patients an online webinar program that is approved by the Board of Pharmacy. This two-hour home study course is specific to California pharmacists and fulfils the training requirement needed before initiating smoking cessation treatment. Participants who complete the online program and successfully pass the post-test will receive 2 hours (0.20 CEUs) of Continuing Pharmacy Education Credit. Each year this program will be updated to reflect any new regulatory or practice changes. Therefore, pharmacists can take this course every two years in order to remain compliant with state law. In addition, pharmacists can utilize the latest fact sheet provided by the California Smokers Helpline on furnishing nicotine replacement therapy for smoking cessation. 30 May 2017 | Geneva - Action to stamp out tobacco use can help countries prevent millions of people falling ill and dying from tobacco-related disease, combat poverty and, according to a first-ever WHO report, reduce large-scale environmental degradation. "Tobacco threatens us all," says WHO Director-General Dr Margaret Chan. 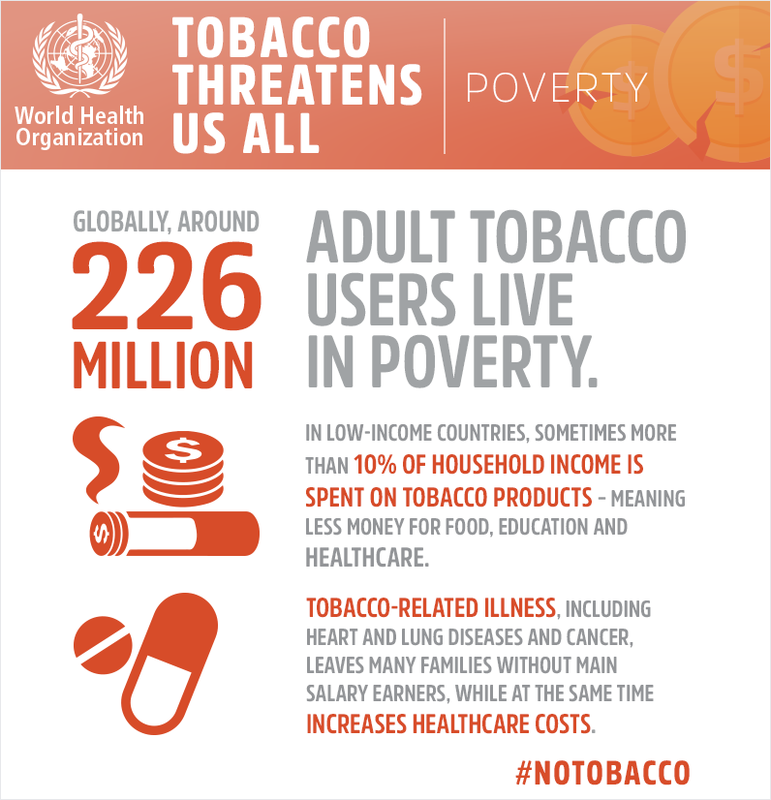 "Tobacco exacerbates poverty, reduces economic productivity, contributes to poor household food choices, and pollutes indoor air." Dr Chan adds: "But by taking robust tobacco control measures, governments can safeguard their countries' futures by protecting tobacco users and non-users from these deadly products, generating revenues to fund health and other social services, and saving their environments from the ravages tobacco causes." All countries have committed to the 2030 Agenda for Sustainable Development, which aims to strengthen universal peace and eradicate poverty. Key elements of this agenda include implementing the WHO Framework Convention on Tobacco Control, and by 2030 reducing by one third premature death from noncommunicable diseases (NCDs), including heart and lung diseases, cancer, and diabetes, for which tobacco use is a key risk factor. Health: Tobacco contributes to 16% of all noncommunicable diseases (NCDs) deaths. NEWPORT BEACH, Calif.--(BUSINESS WIRE)--Safety Net Connect (SNC), a leading provider of innovative healthcare technology for organizations assisting underserved populations, is pleased to announce that its electronic consultation “eConsult” system used by Los Angeles County Department of Health Services (LADHS) is engaged in a two-year-long University of California, Davis (UC Davis) study to measure the benefits of an integrative approach to tobacco cessation, in partnership with California Smokers’ Helpline (Helpline), a free, evidence-based smoking cessation program funded by the California Department of Public Health, the Centers for Disease Control, and First 5 California. This collaborative project, funded through a Community Practice-Based Research Planning Award from the Tobacco-Related Disease Research Program (TRDRP) of California, was launched with the aim of creating and fostering long-term sustainable partnerships to conduct cost-effective, high quality tobacco cessation programs that are replicable across clinics throughout California. Several months into the project, SNC’s eConsult technology has already demonstrated a positive change in the delivery of tobacco cessation services for underserved populations, while increasing access to evidence-based tobacco treatment. “The partnership with Safety Net Connect, the Los Angeles County Department of Health Services (LADHS), and the Helpline is a great opportunity to break down barriers to treatment, help smokers gain access to proven cessation methods, and positively impact the health and wellness of the low income patients served by LADHS,” says Gary Tedeschi, PhD, Clinical Director, California Smokers’ Helpline. How the Helpline and eConsult Work Together. As the nation’s second largest public health system serving 670,000 patients each year, LADHS has utilized SNC’s eConsult technology since 2014 to power its web-based care coordination platform that connects 5,000 primary care providers with community-based specialists, averaging 17,000 eConsult requests per month. Leveraging this industry-tested system, the UC Davis study expands the scope of eConsult for LADHS providers by offering direct referrals for its large population of tobacco-using patients – most of whom are low socioeconomic; linguistically, racially, ethnically, diverse; and geographically dispersed – to free, multilingual telephone-based tobacco cessation counseling services at the Helpline. In addition to improving access to care, the integration of LADHS/SNC eConsult and the Helpline facilitates an unprecedented connection between disparate electronic health records systems across LADHS and community clinic providers. The California Smokers’ Helpline (Helpline) is a free, evidence-based, telephone counseling program for quitting smoking, proven in clinical trials to double a smoker’s chance of quitting. Multilingual services include telephone counseling, self-help materials, chat, and text messaging. The Helpline is operated by the Moores UCSD Cancer Center under the direction of Shu-Hong Zhu, PhD, Professor of Family and Preventive Medicine and is funded by the California Department of Public Health, the Centers for Disease Control, and First 5 California. For more information, please visit www.nobutts.org. The Los Angeles County Department of Health Services (LADHS) is the second largest municipal health system in the nation. The LADHS mission is to ensure access to high-quality, patient-centered, cost-effective health care to Los Angeles County residents through direct services at DHS facilities and through collaboration with community and university partners. For more information, please visit www.dhs.lacounty.gov. Since 2009, Safety Net Connect (SNC) has partnered with public and private organizations to provide a multitude of successful and nationally recognized web-based healthcare solutions for underserved and safety net populations. SNC’s innovative solutions have reached over 5 million patients from clients such as Los Angeles Department of Health Services (LADHS), MedPoint, LA Care, Orange County Healthcare Agency, CalOptima, San Diego Healthcare Agency, and Cook County MHN (an Illinois Medicaid Project). For more information, please visit www.safetynetconnect.com.